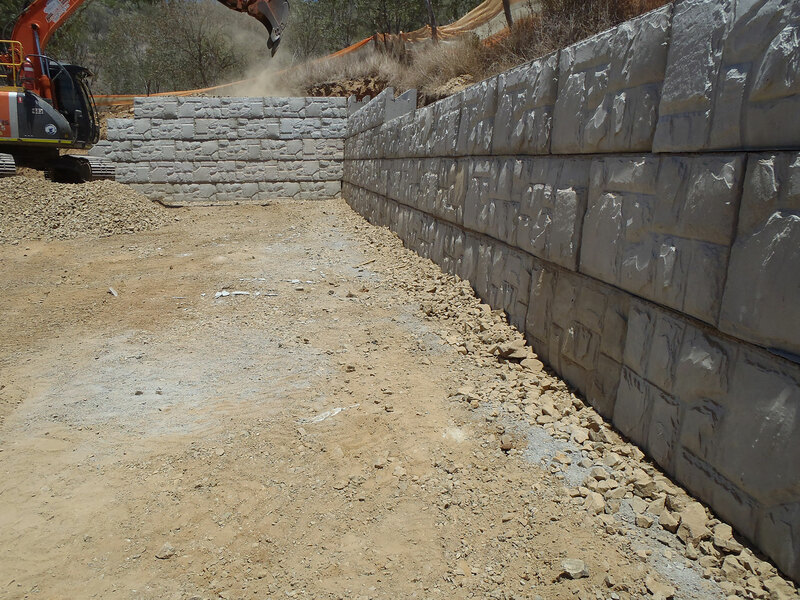 Use MagnumStone to get long-lasting walls! 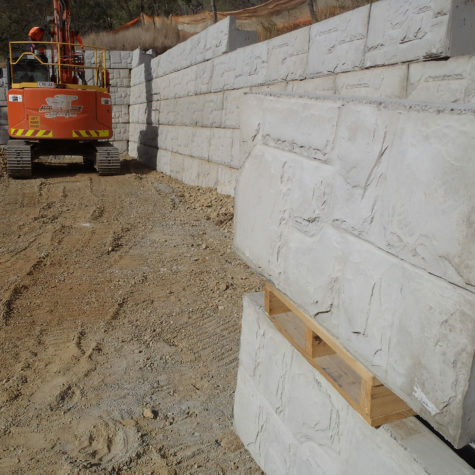 All our walls are built to last! 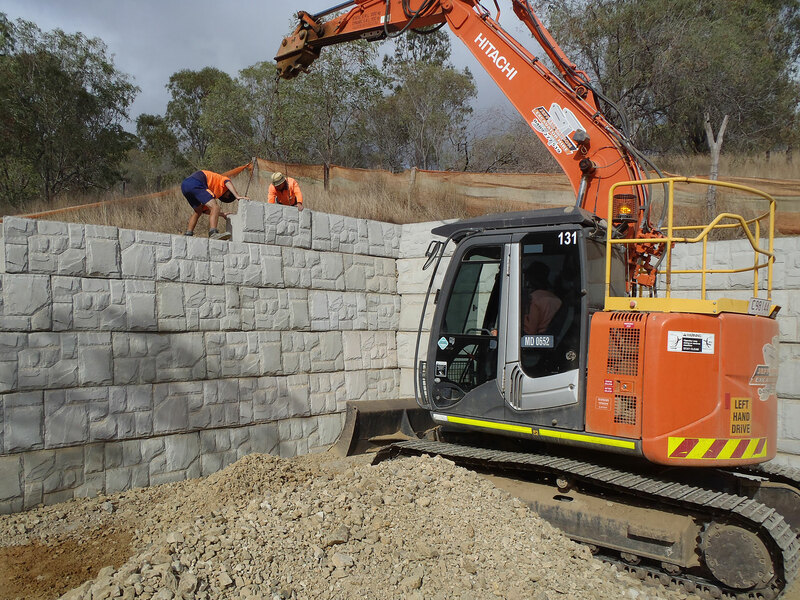 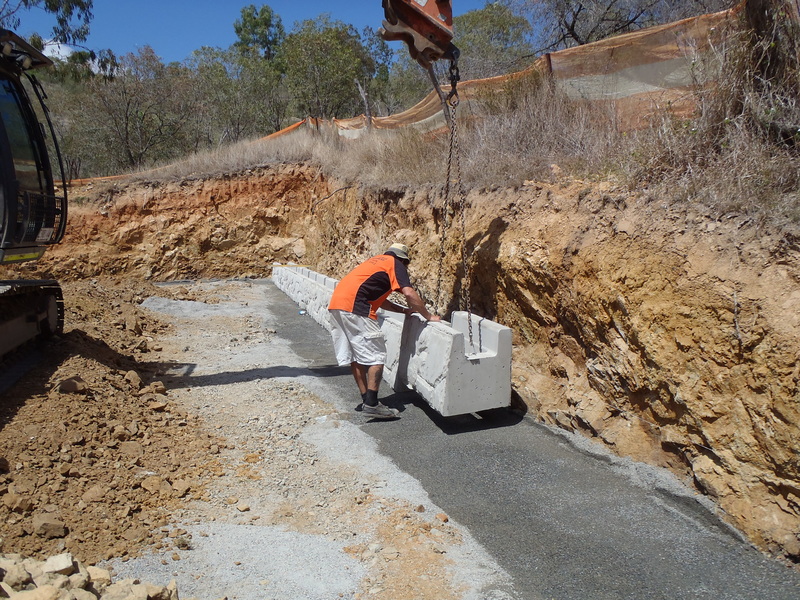 Keppel Coast Paving and Big Wall Builders are proud to say they are the first builders to use MagnumStone in Central Queensland. 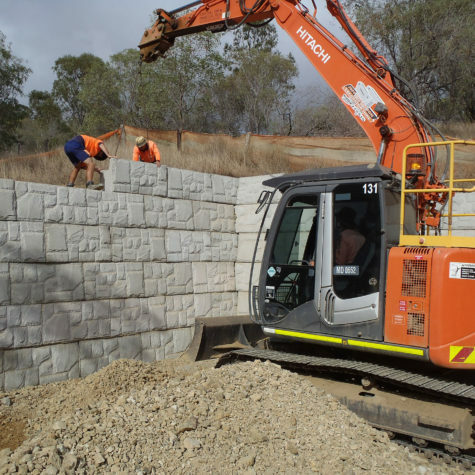 To open a selection of MagnumStone jobs from Austral Masonry, click here. 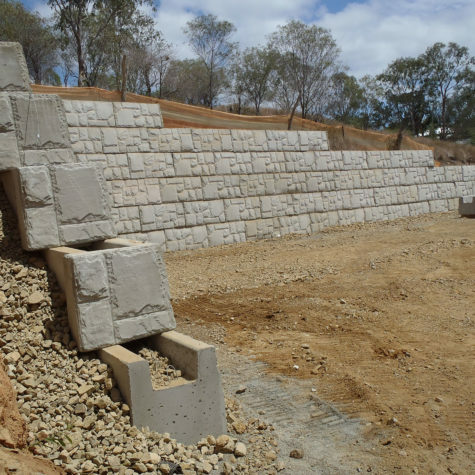 The units are made from high strength, wet cast concrete that provides durability and resistance to weathering. 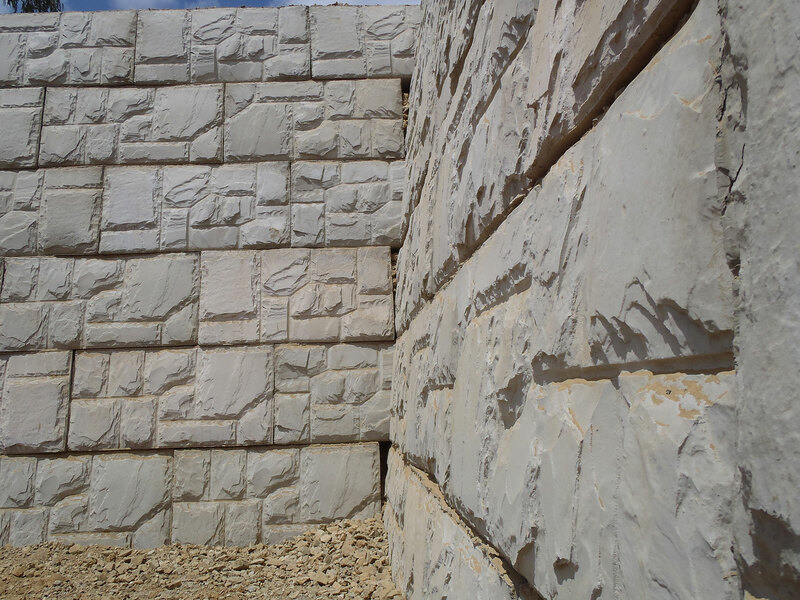 The products large vertical and horizontal hollow cores reduce efflorescence problems and the use of costly pigments. 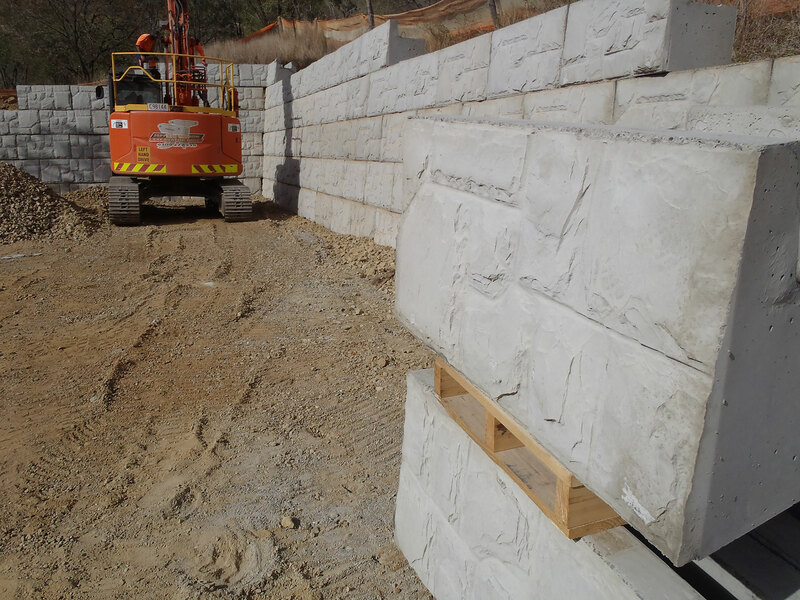 The units provide excellent solutions for gravity, geogrid reinforced, steel/concrete, plantable and other types of wall structures. 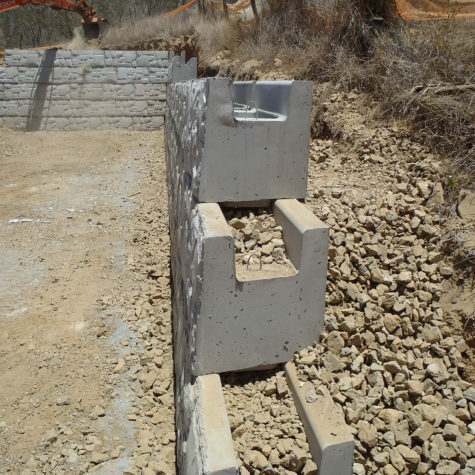 The units are nearly half the weight per face foot of solid block systems, providing superior environmental advantages both by using far less concrete in manufacturing and by the resulting efficiency of transportation. 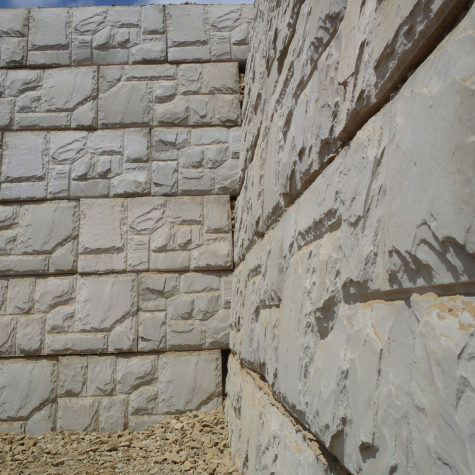 The product provides superior flexibility in creating curves, corners, steps and terraced wall. 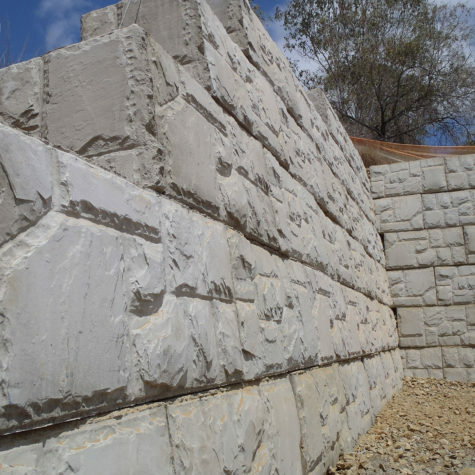 Your best choice is MagnumStone for value, beauty, durability, ease of construction, and complete retaining wall excellence. 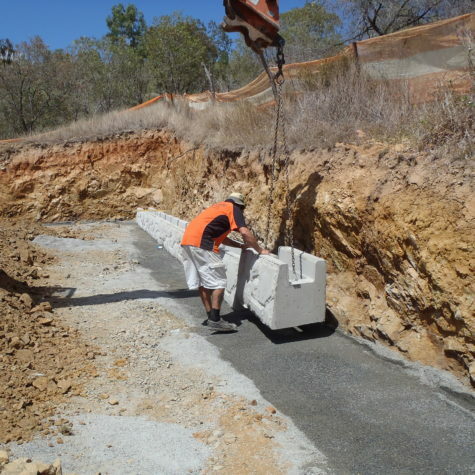 This system will save time, labor and material costs. 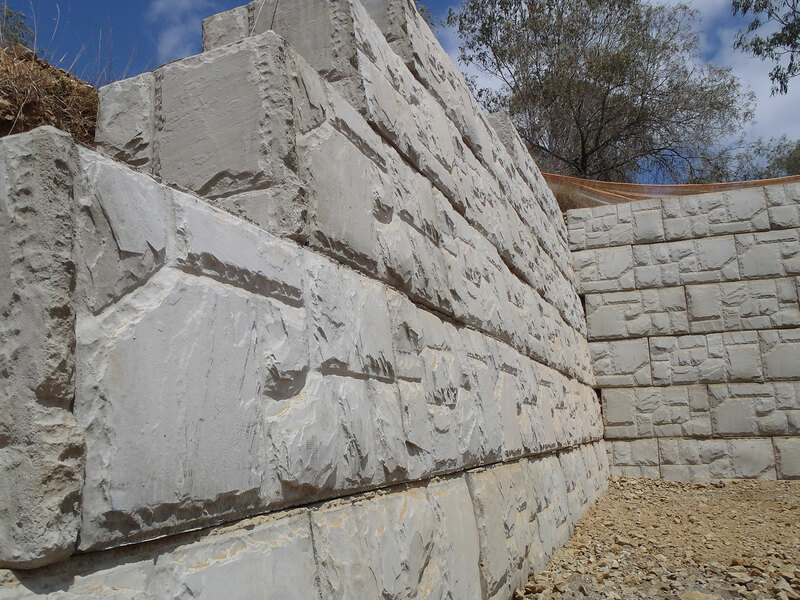 MagnumStone walls can cost considerably less than conventional cast in place concrete walls or traditional masonry systems. 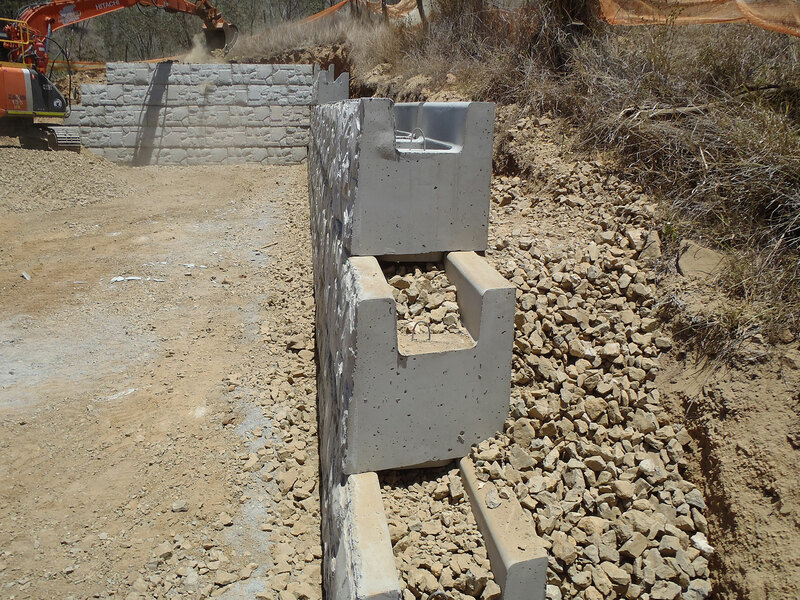 The product light-weight, hollow core units are less expensive to ship and handle. 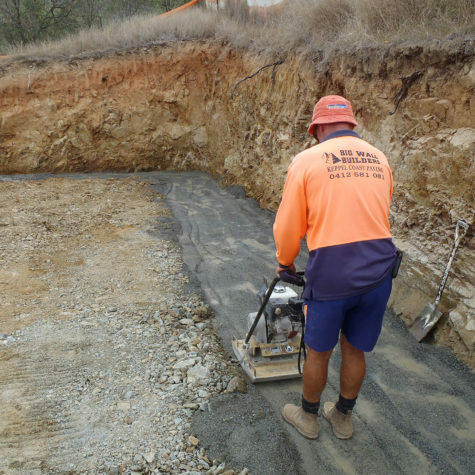 MagnumStone labor and equipment costs are low because no special equipment is required and semi-skilled workers will find the units easy to install. 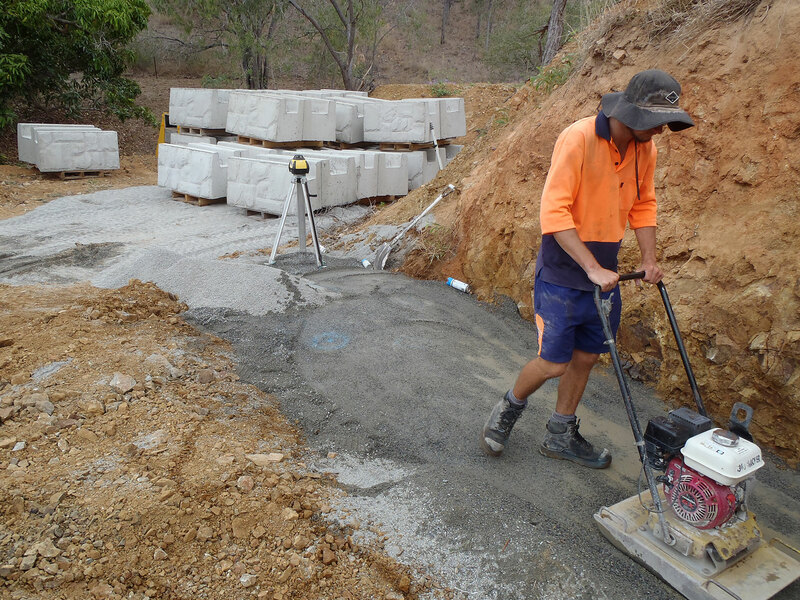 Testimonial from one of Keppel Coast Paving's satisfied client. 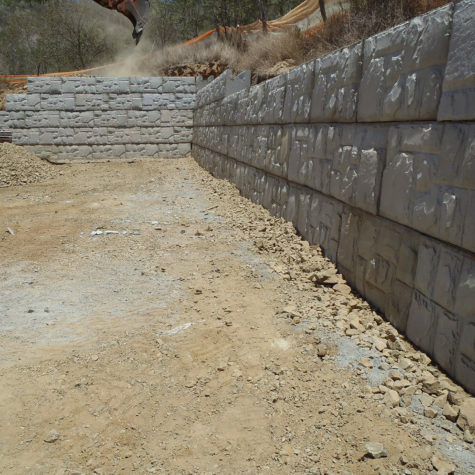 "Duwayne, thank you so much for the great job you and your team have done in building our large MagnumStone retaining wall. 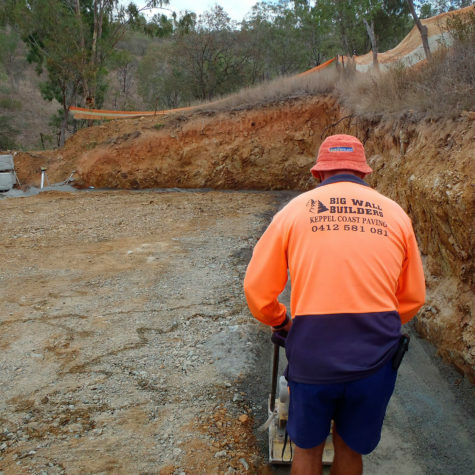 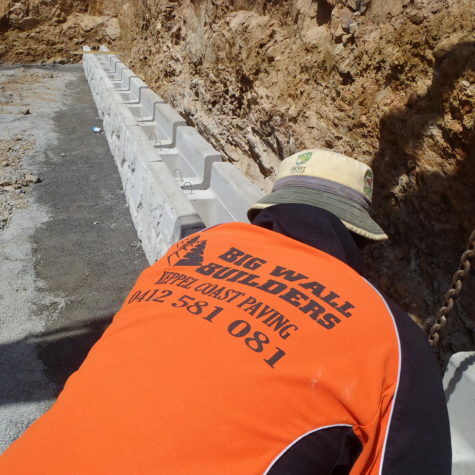 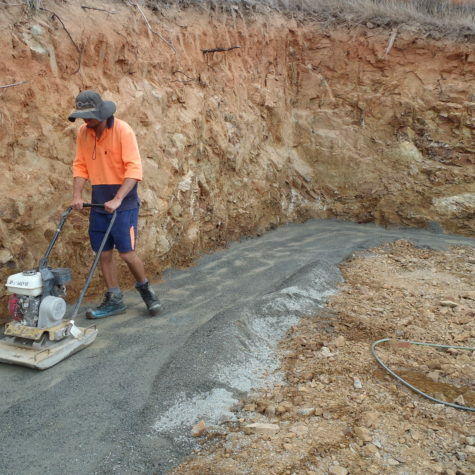 We are happy to recommend Big Wall Builders from Yeppoon to anyone who wants work done on their property." 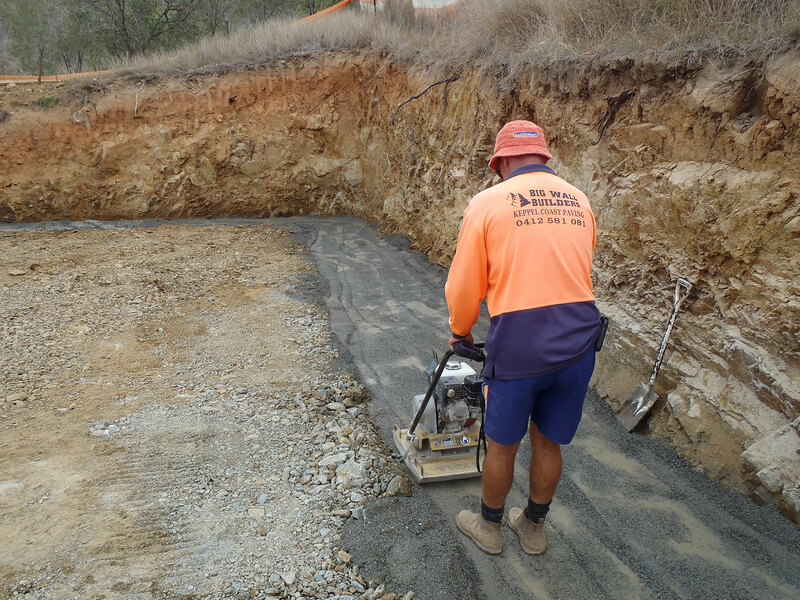 Call Duwayne Keefe on 0412 581 081 for a free quote to improve your property and increase the value. 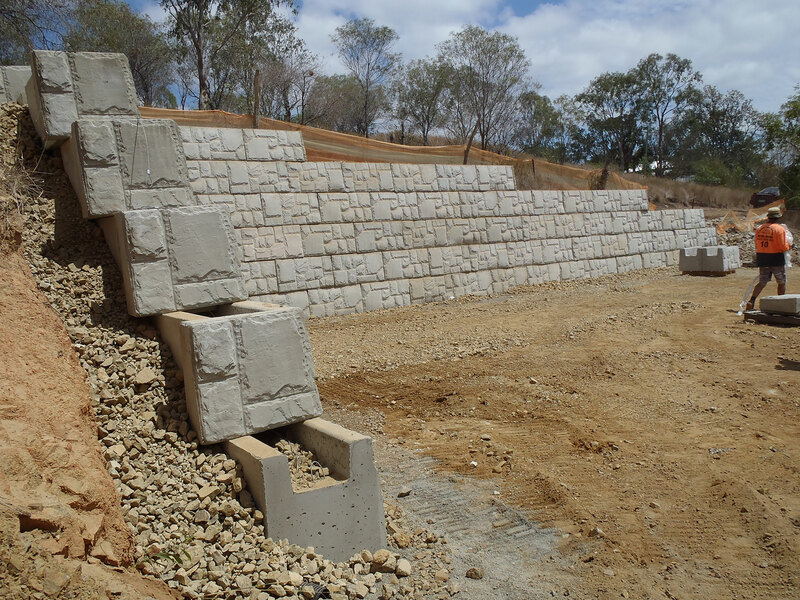 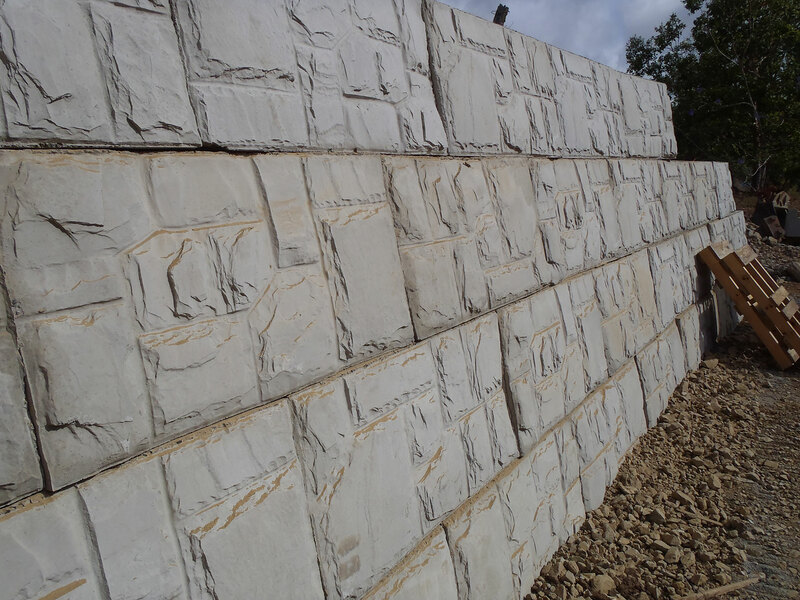 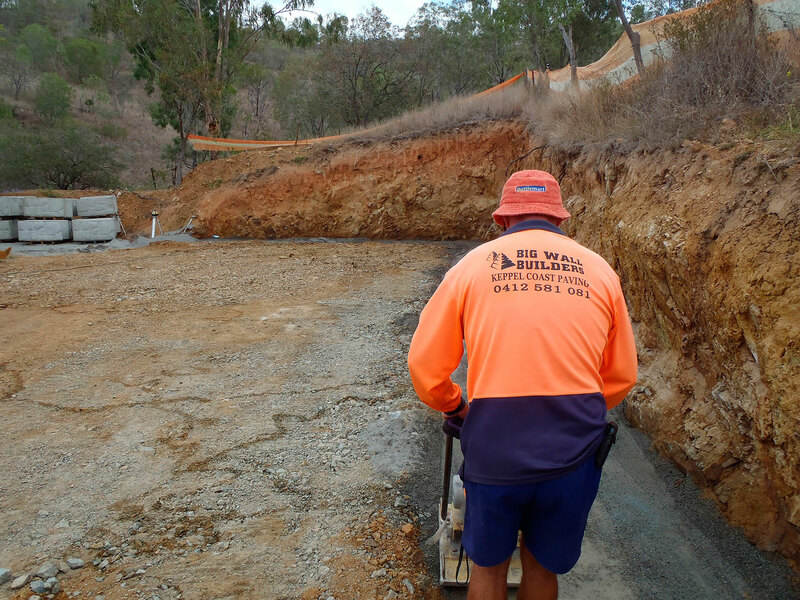 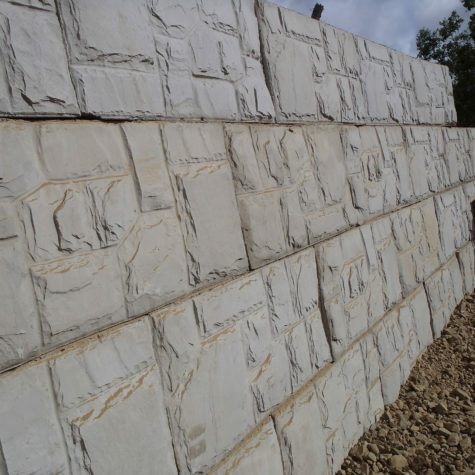 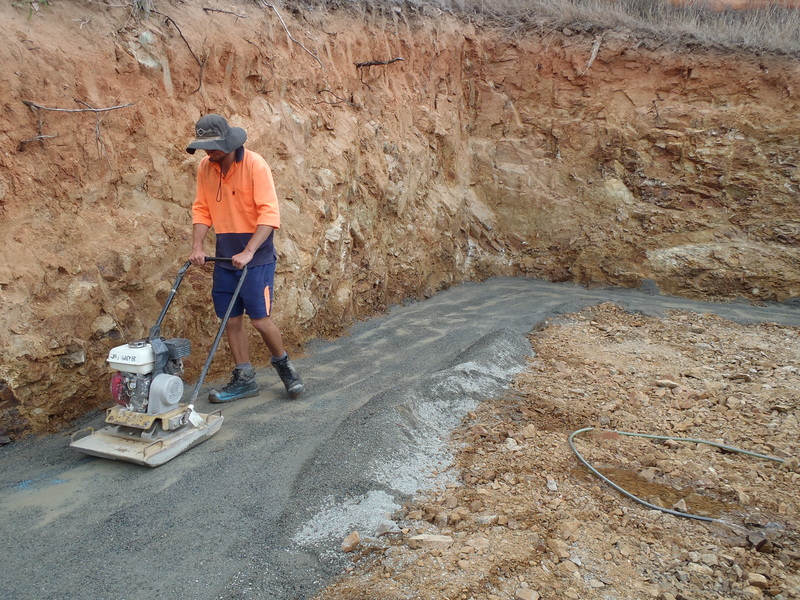 Keppel Coast Paving's hand-built retaining walls will give you peace of mind. 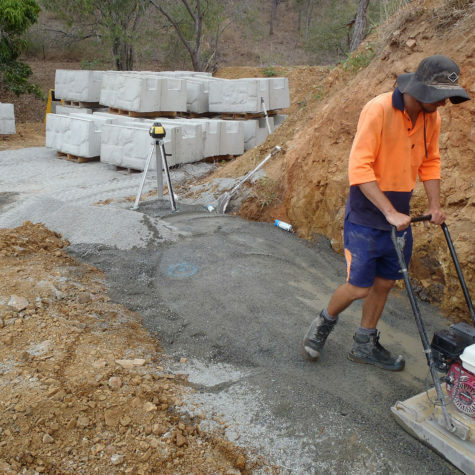 Find more jobs featuring Rockwall and Rockpave from Austral Masonry. 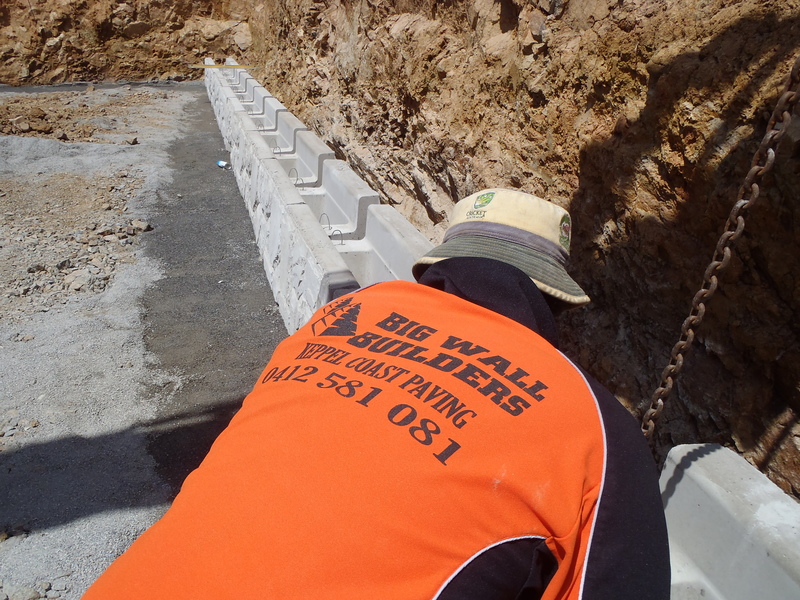 Big Wall Builders setting up for the new MagnumStone retaining wall.